At TekNet Solutions Limited we have been providing Computer Support and IT Maintenance Services since 1998. TekNet Solutions Limited is registered in England & Wales under incorporation number 03585182. TekNet Solutions Limited is an ISO 27001:2013 – Security Standards organisation – Certificate AJA17/18252 and an ISO 9001:2015 – Quality Standards organisation – Certificate AJA14/17307. Our website address is: www.teknet.co.uk and our e-mail address is [email protected]. We use contact forms to collect personal information for the purpose of sending our e-newsletter at our visitors’ request. We also use forms to collect data for the purpose of customer service requests. When you log in, we will also set up several cookies to save your login information and your screen display choices. Login cookies last for two days, and screen options cookies last for a year. If you select “Remember Me”, your login will remain for two weeks. If you log out of your account, the login cookies will be removed. We use Google Analytics to collect information about what pages you visit, how long you stay on each page and information about your general location. We may share information collected from our website with our parent company Flywheel IT Services. All form submissions are also retained indefinitely. Our staff are trained in data protection, and as such we have a data protection policy. 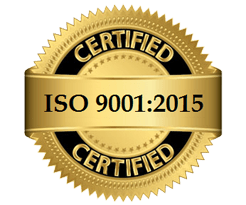 We use SSL encryption when storing your data and are ISO 27001:2013 and ISO 9001:2015 certified. We also have a certified GDPR practitioner on staff. We have a stringent data protection policy, and as such we have guidelines that enable us to handle any potential data breaches. There is no automated decision making or profiling with user data on our website. TekNet Solutions Limited is registered in England & Wales under incorporation number 03585182. 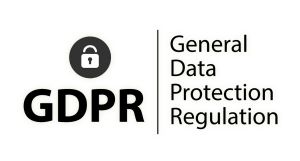 TekNet Solutions Limited has a certified GDPR practitioner.